Rockabilly is one of the earliest styles of rock and roll music, dating back to the early 1950s in the United States, especially the South. As a genre it blends the sound of Western musical styles such as country with that of rhythm and blues, leading to what is considered "classic" rock and roll. Some have also described it as a blend of bluegrass with rock and roll. The term "rockabilly" itself is a portmanteau of "rock" and "hillbilly", the latter a reference to the country music that contributed strongly to the style. Other important influences on rockabilly include western swing, boogie-woogie, jump blues, and electric blues. 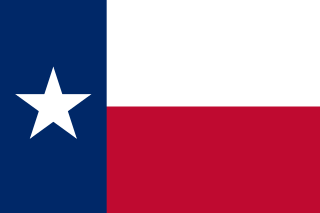 Nacogdoches is a small city in East Texas and the county seat of Nacogdoches County, Texas, United States. 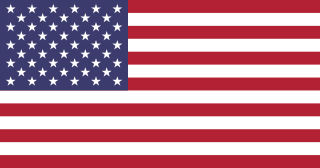 The 2010 U.S. Census recorded the city's population to be 32,996. Nacogdoches is a sister city of the smaller and similarly-named Natchitoches, Louisiana, the third-largest city in the Southern Ark-La-Tex. Fiddling refers to the act of playing the fiddle, and fiddlers are musicians that play it. A fiddle is a bowed string musical instrument, most often a violin. It is a colloquial term for the violin, used by players in all genres including classical music. Although violins and fiddles are essentially synonymous, the style of the music played may determine specific construction differences between fiddles and classical violins. For example, fiddles may optionally be set up with a bridge with a flatter arch to reduce the range of bow-arm motion needed for techniques such as the double shuffle, a form of bariolage involving rapid alternation between pairs of adjacent strings. To produce a "brighter" tone, compared to the deeper tones of gut or synthetic core strings, fiddlers often use steel strings. The fiddle is part of many traditional (folk) styles, which are typically aural traditions—taught 'by ear' rather than via written music. A backup band or backing band is a musical ensemble that accompanies a lead singer at a live performance or on a recording. A backup band can also accompany an instrumental soloist, such as a lead guitarist or solo fiddler, though all-instrumental performances, with no singing, are not common in popular music and traditional music. This can either be an established, long-standing group that has little or no change in membership, or it may be an ad hoc group assembled for a single show or a single recording. Ad hoc or "pickup" groups are often made up of session musicians. James Edward Burton is an American guitarist. A member of the Rock and Roll Hall of Fame since 2001, Burton has also been recognized by the Rockabilly Hall of Fame and the Musicians Hall of Fame and Museum. Critic Mark Demming writes that "Burton has a well-deserved reputation as one of the finest guitar pickers in either country or rock ... Burton is one of the best guitar players to ever touch a fretboard." He is ranked number 19 in Rolling Stones' list of 100 Greatest Guitarists. Imperial Records is an American record company and label started in 1947 by Lew Chudd and reactivated in 2006 by EMI, which owned the label and back catalogue at the time. Imperial is owned by Universal Music Group. Carnival Rock is a 1957 film directed by Roger Corman with musical performances by The Platters, David Houston, Bob Luman and His Shadows, and the Blockbusters. Vincent Eugene Craddock, known as Gene Vincent, was an American musician who pioneered the styles of rock and roll and rockabilly. His 1956 top ten hit with his Blue Caps, "Be-Bop-A-Lula", is considered a significant early example of rockabilly. He was inducted into the Rock and Roll Hall of Fame and the Rockabilly Hall of Fame. John LaGale "Johnny" Horton was an American country music, honky tonk and rockabilly singer and musician, during the 1950s and early 1960s, best known for his international hits beginning with the 1959 single "The Battle of New Orleans", which was awarded the 1960 Grammy Award for Best Country & Western Recording. The song was awarded the Grammy Hall of Fame Award and in 2001 ranked No. 333 of the Recording Industry Association of America's "Songs of the Century". His first number 1 country song was in 1959, "When It's Springtime in Alaska ". William Orville Frizzell, known as Lefty Frizzell, was an American country music singer-songwriter and honky-tonk singer. 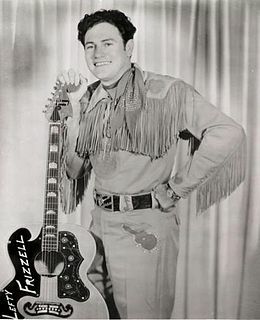 A vocalist who set the style of singing "the country way" for the generations that followed, Frizzell became one of the most successful and influential artists of country music throughout his career. He gained prominence in 1950 after two major hits, and throughout the decade was a very popular country performer. He remains the only country singer to have four songs that reached No. 1 on the Billboard country chart in one year (1951). He smoothed out the rough edges of a honky tonk song by sounding out syllables longer and singing longer. Because of this, his music became much more mainstream without losing its honky-tonk attitude and persona. Douglas James Kershaw is an American fiddle player, singer and songwriter from Louisiana. Active since 1948, he began his career as part of the duo Rusty and Doug, along with his brother, Rusty Kershaw. He had an extensive solo career that included fifteen albums and singles that charted on the Hot Country Songs charts. He is also a member of the Louisiana Music Hall of Fame, being inducted in 2009. Wanda Lavonne Jackson is an American singer, songwriter, pianist and guitarist who had success in the mid-1950s and 1960s as one of the first popular female rockabilly singers and a pioneering rock-and-roll artist. She is known to many as the "Queen of Rockabilly" or the "First Lady of Rockabilly". Michael Webb Pierce was an American honky tonk vocalist, songwriter and guitarist of the 1950s, one of the most popular of the genre, charting more number one hits than any other country artist during the decade. Billy Wayne "Crash" Craddock is an American country and rockabilly singer. He first gained popularity in Australia in the 1950s with a string of rockabilly hits, including the Australian number one hit "Boom Boom Baby". Switching to country music, he gained popularity in United States in the 1970s with a string of top ten country hits, several of which were number one hits, including "Rub It In", "Broken Down in Tiny Pieces", and "Ruby Baby". Craddock is known to his fans as "The King Of Country Rock Music" and "Mr. Country Rock" for his uptempo rock-influenced style of country music. Thomas Grady Martin was an American session guitarist in country music and rockabilly. Mary Joan Okum, known by her performing name Bonnie Lou, was an American musical pioneer, recognized as one of the first female rock and roll singers. She is also one of the first artists to gain crossover success from country music to rock and roll. She was the "top name" on the first country music program regularly broadcast on a national TV network. Bonnie Lou was one of the first female co-hosts of a successful syndicated television talk show, and a regular musical performer on popular shows in the 1960s and 1970s. She "was a prime mover in the first days of rockabilly," and is a member of the Rockabilly Hall of Fame. Alvin Wayne Casey was an American guitarist. He was mainly noted for his work as a session musician, but also released his own records and scored three Billboard Hot 100 hits in the United States. His contribution to the rockabilly genre has been recognized by the Rockabilly Hall of Fame. Carl Mann is an American rockabilly singer and pianist. Wesley Erwin "Mac" Curtis, Jr. was an American rockabilly musician. Robert Autry Inman was an American country and rockabilly musician. 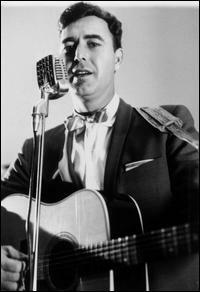 "Honky-Tonk Man" is a song co-written and recorded by American country music singer Johnny Horton. It was released in March 1956 as his debut single on Columbia records, reaching number 9 on the U.S. country singles charts. Horton re-released the song six years later, taking it to number 11 on the same chart. Jerry Glenn Kennedy is an American record producer, songwriter and guitar player. Andrew Jackson 'Jack' Rhodes was an American country music producer and songwriter, with songwriting credits on over 100 released records. Several of his songs became hit records, including "A Satisfied Mind", "Silver Threads and Golden Needles", "Conscience I'm Guilty", "The Waltz of the Angels", "Beautiful Lies", and "Till the Last Leaf Shall Fall". Inducted into the Nashville Songwriters Hall of Fame in 1972 (posthumously), he is most recently celebrated as one of the founding fathers of Rockabilly, imparting a country/rock infusion. He was inducted into the Rockabilly Hall of Fame in 2009, and memorabilia are currently on exhibit at the Mineola Historical Museum in Mineola, Texas. Tommy Blake was an American rockabilly singer and songwriter active in the 1950s to the 1970s. Regarded as a skilled writer, Blake penned several songs that were later recorded by rock and country music artists, including Johnny Horton, George Jones, and Johnny Cash among others. He also achieved modest success as a recording artist for Sun Records, but failed to record a national hit himself, a fact that frustrated Blake later in his life. Retrospectively, he has received praise for his contributions to rockabilly and was inducted in the Rockabilly Hall of Fame.